As expected, Lenovo has come out with two new Motorola phones with each focusing on a unique segment. It has been rumored for quite a while that Lenovo will be replacing the line-up of Moto X devices with the Moto Z, which was going to be available in two variants. 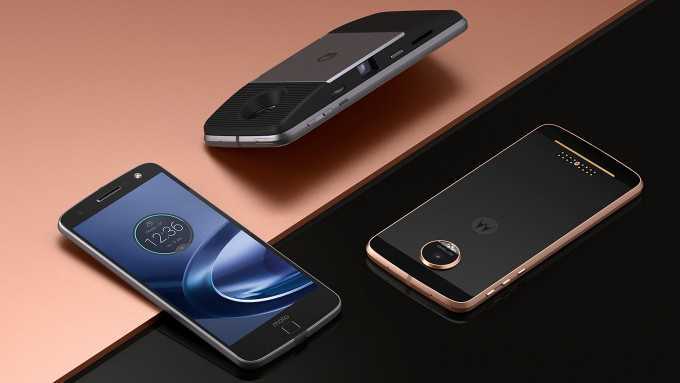 Now, the official launch has just confirmed that the Moto Z and Moto Z Force will be the new entrants to the line-up. The former focuses on offering the most stylish device at this price range. It is extremely thin at just 5.2 mm. The Moto Z Force, though, is a device meant for those looking at practicality from the phones. Even then, it is fairly stylish and extremely thin at just 7 mm. The weight of the device has been kept to just 163 g. Crucially, the Moto Z line-up comes with support for MotoMods, which provide added functionality to the device or just better looks. The Moto Z Force has the same 5.5-inch screen found on models like the Moto G4 Plus. This display, though, is shared with the display on the Moto Z and it has QHD resolution amongst other features. It’s AMOLED technology allows Motorola to enhance its feature capabilities even further. One of the disadvantages of the Moto G4 Plus was the overheating issues. It primarily came as a result of having an octa core CPU. Compared with that mid-range product, the Moto Z Force seems under clocked. Even though it runs on the snapdragon 820 processor,it has two dual core processors – rather than quad core – with clock speeds averaging in the vicinity of 2 GHz. The processor is supplemented by 4 GB of RAM, which will be crucial to handling the android operating system’s latest marshmallow update. The Moto lineup of phones will continue to receive extremely quick updates to the android operating system even after changing ownership. Lenovo has retained in the familiar clean operating system found on Motorola devices. This helps take advantage of the blazing power at the disposal in a much better way. Improvements over phones like the Moto G4 Plus within the same stable include aspects like USB Type-C arrival, turbocharging, fingerprint scanner, ability to withstand water to a certain extent, and Motorola gesture support. The major difference from the Moto Z is the presence of a 21-megapixel camera in the rear.